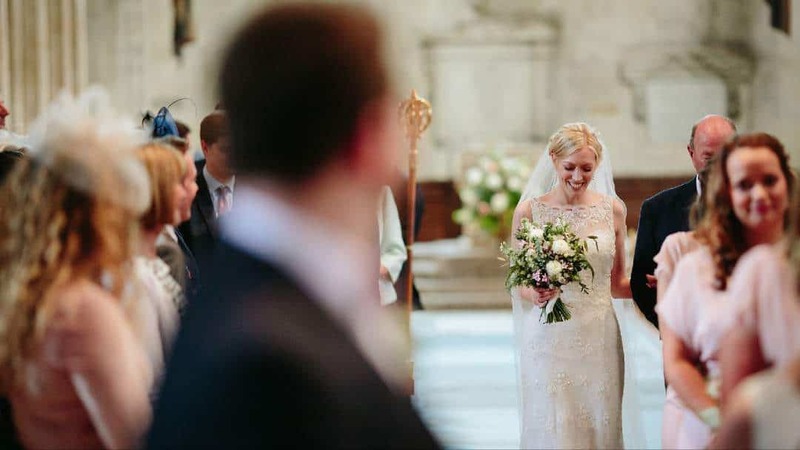 Were we looking forward to seeing the photos of Sarah in her Romsey Abbey Wedding? We just love a statement dress with a back to die for here at Sass & Grace, and Sarah’s Annasul Y wedding dress had it in spades!!! Because Romsey Abbey is so spectacular and Sarah is so gorgeous, how could the Wedding photos be anything but be brilliant? As if to prove the point, Sarah sent us a handful of photos and, doesn’t Sarah look gorgeous in her dress. And, against the backdrop of Romsey Abbey …… well Wow!! While the photographer clearly has a good eye, Sarah is still waiting for the the professional photos so we can’t wait to see those!! I hope you are well! I just wanted to say a huge thank you for helping me find the perfect dress for the wedding. I had so so many compliments about how amazing the dress was! Thought I would send you a few pics from the day so you can see the dress in all its glory, still waiting for the professional pics but will send you some of those too when I have them!